Wilderness Trail Distillery will release a new small batch bourbon next month at A Taste in Danville. The Bottled-in-Bond release, which is drawn from just 10-12 barrels and includes a rye small grain, follows the distillery’s award-winning Blue Heron Vodka, Harvest Rum, rye whiskey and wheated bourbon. A Taste in Danville will be held from 11 a.m. to 7 p.m. on April 27 at 4095 Lebanon Road in Danville. The event will feature bourbon, food and live music from the Brown Family Band (of Berea) and Down to the River (of Pikeville). DANVILLE — Wilderness Trail Distillery is ready to introduce Small Batch Bourbon made with rye small grain. Samples will be available at one of the best places to enjoy central Kentucky fare, A Taste in Danville. This springtime event also is a feast for the ears for music lovers. The Danville distillery’s third annual A Taste in Danville, 11 a.m. to 7 p.m. April 27 at 4095 Lebanon Road, will be a day devoted to featuring some of the area’s best Bourbon, food and live music. Wilderness Trail Distillery’s contribution to the Taste in Danville will be tastes of its Small Batch Bottled in Bond. Shane Baker and Dr. Pat Heist, the distiller’s co-owners, like high-proof whiskey, served neat, so they couldn't resist making this third expression a Bottled in Bond. For an eye-opening cup of coffee, visit Rooster’s Whistle or if a Bloody Mary or Bloody Susan is more your style of waking up, stop by Bloody Kentucky for a bottle of their original or spicy mix. You can't miss their truck. It's an M1079, an American field office truck that was used in Iraq. For a light snack, there is Fox Run Beer Cheese in a variety of flavors or try Sadistic Mistresses all natural hot sauces. In addition to tastes, Wilderness Trail offers a several cocktails. Country Boy Brewery will be on site with their much-loved brews. Wilderness Trail believes strongly in charitable causes and will donate a portion of proceeds to the American Cancer Society. For more information, contact Emily Toadvine at emily@wildernesstrailky.com or phone 859-402-8707. What is Straight Bourbon Whiskey? Have you ever heard of straight bourbon whiskey? It might not be what you think. 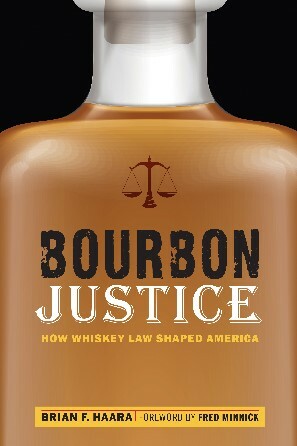 As you know, bourbon is a whiskey that meets a few (mostly simple) requirements. We explained it all recently in a post you can read here if you don’t remember: http://bourbonandbarns.com/blog/2018/11/7/what-is-bourbon). Straight bourbon whiskey is simply bourbon that has been aged for at least two years. That’s it! You may have thought “straight” meant that it wasn’t blended with some other whiskey but it actually can be blended with other straight whiskies. In fact, “straight bourbon whiskey may included mixtures of two or more straight bourbon whiskies provided all of the whiskies are produced in the same state,” according to the federal agency that regulates such things. (The agency is called the Alcohol and Tobacco Tax and Trade Bureau for anyone who was wondering). So, what is “straight bourbon whiskey”? It’s simply bourbon that has been aged for at least two years. And that’s all there is to it! Fans of Maker's Mark will be excited to learn there's a new product on the market, but only for a limited time. Last month, the distillery known for its distinctive red waxed bottles released a single-stave finished bourbon that will only be available at the distillery and some select locations in Kentucky. It's the first time in the distillery's history that it has offered a bourbon in such limited quantities. The limited release bourbon, known as Seared Bu 1-3, was born out of the success of the distillery's popular Private Select program in which a combination of barrel staves is used to finish cask-strength Maker's Mark to produce distinctive expressions of traditional Maker's Mark bourbon. (FYI, "finished bourbon" means that an additional measure, such as inserting barrel staves into the barrel, is used to provide additional flavor to the bourbon once the bourbon has otherwise matured). These limited release bottles were produced when the distillery experimented with different staves to produce some unique expressions of Maker's Mark before deciding these staves didn't complement the others in the program. So the distillery is making the experimental bourbons they produced available through this limited release. The tasting notes include a dark, rich and creamy mouthfeel with notes of toffee and honey, according to the distillery. 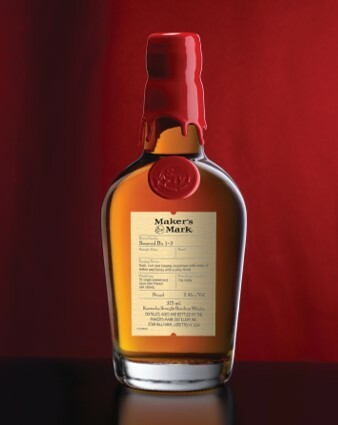 Maker's Mark made around 1,400 bottles available at a suggested retail price of $39.99 per 375ml bottle. Wilderness Trail Distillery will release its first bourbon on April 28 at the distillery's Taste of Danville event. Located in Danville about 40 miles southwest of Lexington, the burgeoning distillery has previously released other spirits, including its award-winning Blue Heron Vodka, Harvest Rum and Rye Whiskey. Wilderness Trail Master Distiller and Co-Founder Shane Baker told Bourbon & Barns last year that the distillery wanted to wait to release their bourbon in order to introduce a mature product to the market. You can read more of that interview at https://bit.ly/2JE8YPB. The bourbon is bottled-in-bond, single barrel selection at 100 proof, said Baker, who described the bourbon as having a mellow nose with sweet fruity oak, caramels twisted with creamy vanilla nut and a touch of chocolate. On Valentine's Day, Wilderness Trail invited a few lucky couples to try to the product. You can see what they thought in a fun video at https://bit.ly/2qnIc4Y. The distillery plans to have 1,000 bottles in the gift shop with distribution of them at 10 a.m., noon and 2 p.m. There is a limit of two bottles per person at $48 a bottle plus tax. There will be a limited number of free samples available to the first few hundred visitors. For more information, check out the Wilderness Trail website at www.wildernesstraildistillery.com. DANVILLE, KY — Wilderness Trail Distillery’s first Bourbon release set for April 28th at the 2nd annual Taste of Danville will be a day of celebrating with food, music and tastes of its Bottled in Bond, Single Barrel Kentucky Straight wheated Bourbon. The spring release is the first of three limited releases this year, as the majority of the barrels continue to age toward 6 years before regular releases are available. Limited first edition box sets of the first release have been reserved by Family Reserve members who signed up when the distillery began barreling Bourbon over four years ago. “We are excited to share our first mature Bourbons with our ambassadors who have been waiting patiently all these years and standing beside us. That’s what makes this a true Family Reserve release. It is a major milestone for us toward our journey of aging to six to eight years,” says Shane Baker, who is the Danville distillery’s co-owner with Pat Heist. The gift shop will be stocked with a limited number of bottles available to the general public. Tickets will be passed out to those in line to be redeemed at 10 a.m., 12 p.m. or 2 p.m. Ticket holders are eligible to purchase up to two bottles. The tickets allow our guests to enjoy the tasty creations of our 19 food vendors and music by bands instead of spending their time waiting in line. They may even choose to stop by our face painting booth at this family-friendly event. Guests will be treated to music by The Local Honeys and Joslyn & The Sweet Compression, both based in Lexington. The Local Honeys will perform 11 a.m. to 1 p.m. with a mix of hard driving fiddle based traditional and original tunes. Joslyn & The Sweet Compression take the stage 1 to 4 p.m. with a hook-filled mix of funk and soul. While listening to musical performances, enjoy culinary creations created by: Biscuits BBQ, Bluegrass & Buttercream, Capt. Frank’s Hotdog Emporium, Caribbean Spice Food Truck, Chaplin River Catering, Dunn’s BBQ & Catering, Four Generations Ice Cream, Fox Run Beer Cheese, Fresh by Gene’s, Grace Café, Mallard’s, Pasture At Marksbury Farm, Plank on Main, Sandy’s Surprises, Southern Style Kettlecorn, Sweets by Cindy, The Caterer, The Hub Coffee House & Café, and Triple J&C BBQ. Want to impress your friends with your knowledge of whiskey? Tell them about triticale whiskey! Here's what you need to know. There are several grains that are used to make whiskey, including corn, wheat, rye, and barley. Wheat whiskeys tend to be soft and smooth and rye whiskeys tend to be bold and spicy. But what if there was some a grain that was a middle ground between the soft wheat and the spicy rye? That's triticale! This grain was first created in Scotland in the 1800's and, a few years ago, Dry Fly Distilling of Spokane, WA, used it to make the world's first straight triticale whiskey. Bourbon & Barns caught up with Dry Fly founder Don Poffenroth to talk about triticale, whiskey and lots of fun stuff (see below). You can learn more about Dry Fly Distilling at www.dryflydistilling.com. (Oh, and they just celebrated their 10th anniversary, so tell them Happy Birthday on Twitter at @dryflydistiller). Bourbon & Barns: Congratulations on your 10-year anniversary! Can you tell us how Dry Fly Distilling got its start and how it has grown over the past 10 years? Don Poffenroth, Founder/President of Dry Fly Distilling: Dry Fly started as a vision of two corporate burnouts, Don Poffenroth and Kent Fleischmann. The initial vision started on a river somewhere in Montana, and grew into what it is today. We have grown from a single state producer to someone who sells product in many states and countries outside the US. We are still very small, five employees, and we still live the real farm to bottle philosophy daily. B&B: I understand your distillery was the first in Washington since Prohibition. Were there any regulatory obstacles or other hurdles you had to overcome in order to establish your distillery? DP: In Washington, a legal distillery had not existed since prohibition, so we had to write our own legislation in order to exist. We found it easy to take a case of liquor to Olympia and get things done! B&B: You make a variety of products at your distillery, but the most interesting may be your Straight Triticale Whiskey. What is triticale? What inspired you to make a triticale whiskey? DP: In Washington, Rye is a noxious weed in almost every county as it can destroy a wheat crop. Triticale had been grown here in small amounts and allows us to play the Rye game from a grain standpoint, without all the issues. We made the first 100% Triticale whiskey ever in the world. We continue that tradition today with our regular Triticale now being over four years old. B&B: How does your triticale whiskey compare to more traditional wheat whiskeys and rye whiskeys? DP: Triticale is a hybrid of wheat and Rye. It was grafted from the two grains in Scotland in the 1800’s. Its name comes from the Gaelic words for wheat and rye. We use one seed variety, grown on one piece of land by Wisota Farms. The end result is a perfect blend of rye-like spiciness and wheat sweetness and softness. B&B: Do you think the appeal of triticale will continue to grow in the whiskey industry? DP: I think Triticale will continue to grow as people discover how great a whiskey it makes. The key is the seed, grower, and process. Not all Triticale is the same. Ninety-nine different seed varieties exist in the US alone. We only found one that works. B&B: Can you tell our readers about some of your other products? The Port Finish Wheat Whiskey sounds especially interesting. DP: Barrel-finishing and the collaborative projects is another thing that makes Dry Fly unique. Our finish program is well-developed. We often rest in finishing barrels over two years, achieving depth that can’t be found in shorter periods. We are extending the port program to very select wine barrels, beer barrels that came from us, aged beers, and now come back, coffee bean barrels, and other interesting combinations. B&B: From the grains to the pot stills, your distillery is very focused on the details and craftsmanship of the distilling process. Can you tell us about your approach to distilling? DP: Our approach is simple: Farm to bottle excellence. We work with our farmers weekly. We plant, harvest, and live with the grains. We then bring them into the distillery and do our best to get out of the way and allow the grain to showcase itself. We cut in a conservative manner, use great aquifer water, and barrel in great wood. The rest is patience. Kind of like fly-fishing. Take your time, and you are often rewarded well.